I still can’t get over what happened. For 58 and a half minutes I watched what was the most thrilling Super Bowl I had seen in a long time. It literally had everything you would want in a football game. In fact, to that point, I was watching two head coaches, two defenses, and two quarterbacks do just about everything necessary for their team to pull out the victory. Then the last minute and a half happened. Stop convincing yourselves (those of you who are) that what Pete Carroll did at the end of that game wasn’t stupid. I don’t care about your numbers from September to January 31st. I don’t care if you think it was the right thing to do because it would have “caught the Patriots off guard.” Anyone, who tries to tell me in pictures, replays, .gif, .jpeg, or any other way they think is clever that doing anything but running Marshawn Lynch (who averaged 4.3/ypc that night) on 2nd and the 1-yard line with 26 seconds left was the way to go need a lesson. Here’s the thing, folks: If you’re the team holding the winning hand what good does it do you to do anything other than finish the job? I watched this same scenario unfold back in September when Mike Bobo, then offensive coordinator for the University of Georgia, got cute and decided to pass instead of handing the ball off and letting the best running back in the country do what he does best. Run it in! I take nothing away from Butler, he prepared and recognized what needed to be done on that play. That’s what makes the decision that much more confusing, you’re gambling against a team that has prepared for just about any trick you’re going to pull. If you’re going to bet, bet on the Patriots not tackling well and the guy nicknamed “Beast Mode” to seal that victory by doing what he’d done all along. Pretty simple, really: Retool and contend again next year. I pointed out last week on the podcast that the Patriots and Tom Brady didn’t get to this point because of deflated footballs. Belichick is an all-time great coach, Tom Brady has thrust his name into the conversation for greatest quarterback of all-time, and this organization is the gold standard (yep, even with the cheating allegations). Now about getting Brady some help. Shane Vereen, who I said was going to need to step up if the Patriots wanted to win the Super Bowl, did just that and could be on his way out. That receiving corps will need to be tweaked because Brady isn’t getting younger and Gronkowski needs someone to take the pressure off of him. On defense, I can’t say I expect Darelle Revis to be back. I don’t know how important that is to New England fans or the franchise itself, but I wouldn’t be surprised if he made another stop in the AFC East this offseason and joins his old coach in Buffalo. There are concerns that need addressing, but then again it’s the Patriots so you know they will be. First and foremost lets cut the “fire Pete Carroll” war cry, okay? Don’t forget where this organization was before he got there. It’s going to be tricky for the Seahawks because decisions abound for sure. 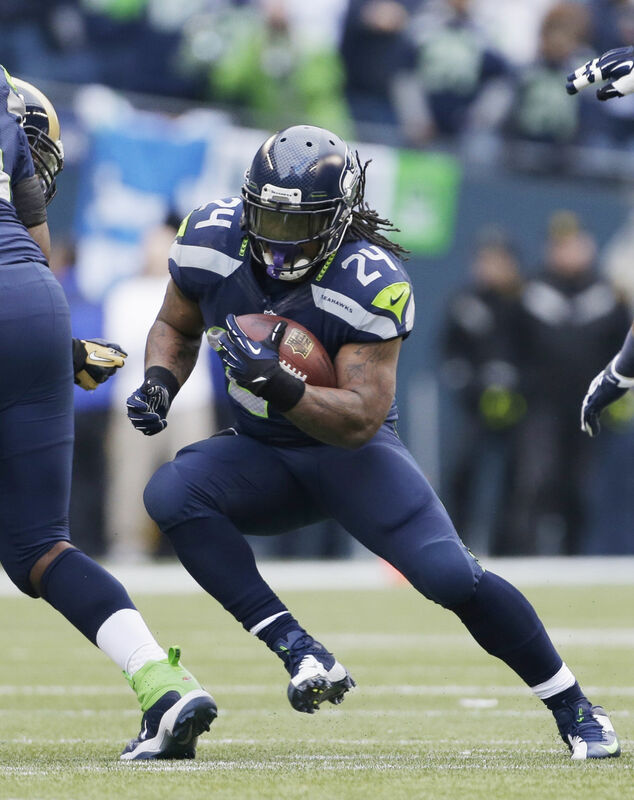 What kind of contract do you give Marshawn Lynch if you offer him one at all? How much is Russell Wilson really worth? Will there be enough to go out and get an impact receiver or can we afford to let more leave on defense and draft on offense round 1? In my opinion, you pay Wilson for what he is today: a top-5 quarterback in the National Football League. Regardless of how you feel and what you believe he’s done two things very well: master the offense he’s been given and win despite the resources he has on the offensive side of the ball. He’s 12-2 against Super Bowl winning Quarterbacks, 36-12 in the regular season, and 6-2 in the playoffs. With a shelf life in football of about 15 minutes (three years, actually) I fault no player for taking the money offered from whomever is willing to offer it; and if Seattle offers him a fortune (which they should) then he deserves it no matter the cap space ramifications. That would leave questions everywhere else, but like the Patriots, the Seahawks have shown they’re pretty good at this draft thing too. Both the Patriots and the Seahawks will be hard pressed to return to the Super Bowl next season in what will surely prove to be a more competitive landscape. Counting either out this soon, however, would be foolish.